Over a period of seven months in 2017, the Hubble Space Telescope photographed a beautiful display of northern lights over Saturn's north pole. 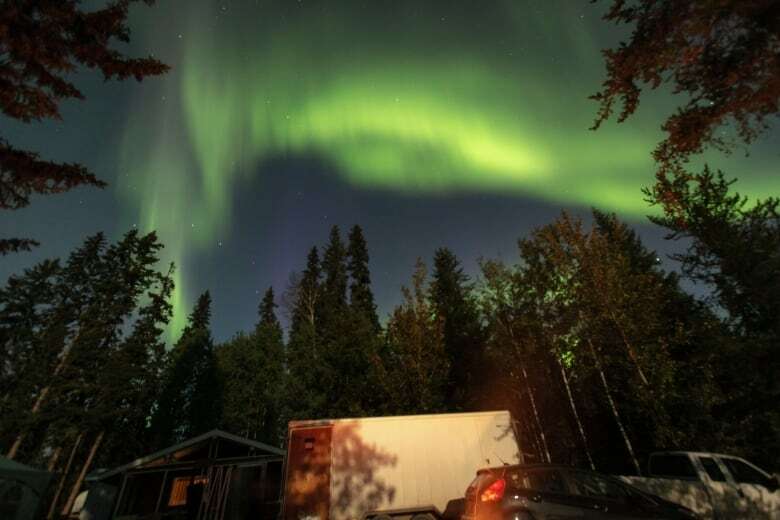 Here on Earth, people experience the northern lights (southern lights in the southern hemisphere) when fast-moving particles from the sun travel along the solar wind and interact with the planet's magnetic field. Here on Earth, people can look up and appreciate the colourful display, but it's a little different with planets like Saturn which are mostly made of gas. Because these planets contain mostly hydrogen, the displays can be seen mainly in ultraviolet light. 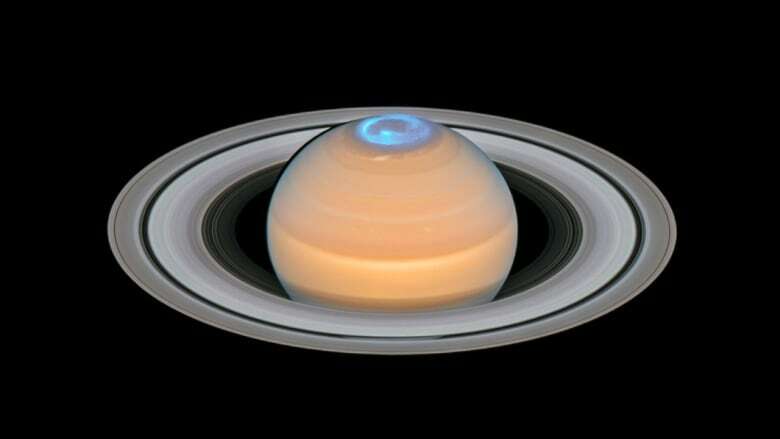 To capture the northern lights, Hubble used its Space Telescope Imaging Spectrograph over the months before and after Saturn's northern summer solstice, when the poles are tilted toward the sun. 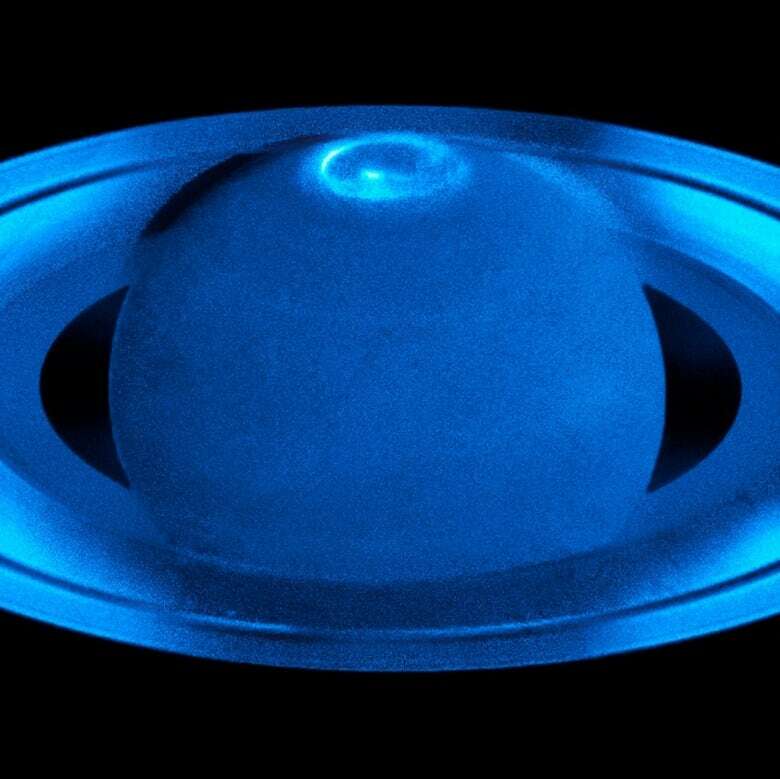 Though Saturn's auroras have been photographed before by Hubble, these new images reveal the auroras peaking in brightness around dawn and just before midnight. This had never been observed before. Scientists believe the phenomenon has something to do with solar winds interacting with the planet's magnetosphere during the solstice, as well as the speed at which Saturn rotates, roughly once every 11 hours. While Earth's auroras stretch upward around 100 to 500 km into the atmosphere, Saturn's auroras can reach heights of more than 1,200 km.